Showing results for tags 'mario gangi'. La nuova registrazione dei 22 Studi per chitarra di Mario Gangi a cura di Andrea Pace. Dal sito dell'editore: This is only the second complete recording of the 22 studies by Mario Gangi (1923-2010), and the first to have international distribution. 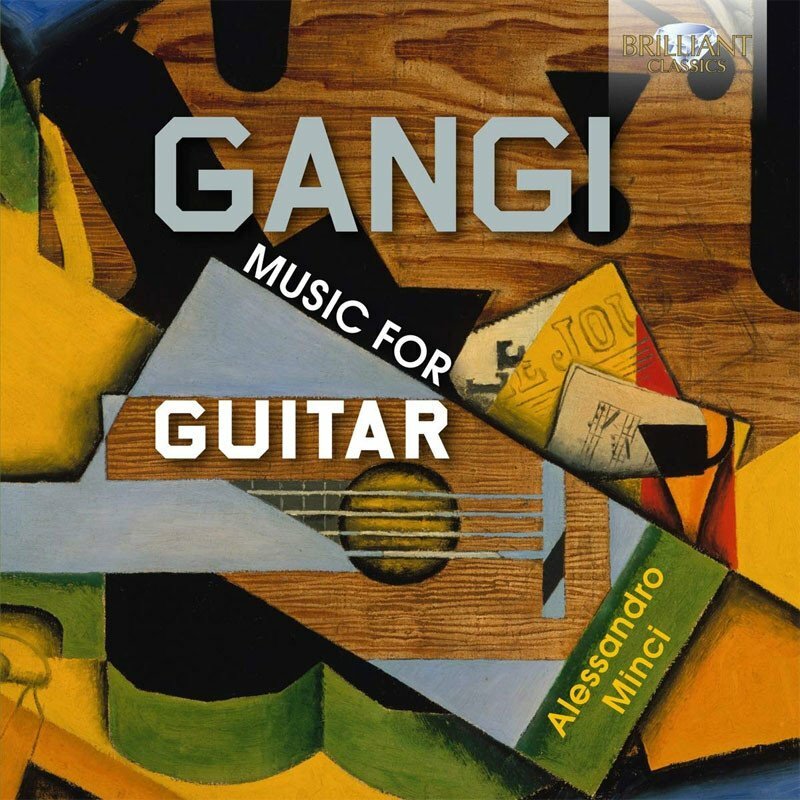 Gangi wrote them towards the climax of his professional career as one of the most renowned guitarists in postwar Italy. He gave first performances of works by his fellow Italians Ennio Porrino and Goffredo Petrassi, among others, but this album grows from his lasting work as a teacher at the conservatories of Rome and Naples. Ricordi published his three-volume method which gathers up the fruits of decades of experience as a performer and teacher. The last part is dedicated to this set of 22 studies. Gangi devoted special attention to techniques pertaining to the left hand: fixed and barre chords, polyphony, scales and legato. In addition he developed exercises for perfecting advanced arpeggios, repeated notes and melodic thumb position. However, even the most casual attention paid to the album, and to Enrico Pace’s sensitive performance, will reveal to the listener that these studies are so much more than technical exercises, but fine, free-standing pieces in their own right. Admitting the influence of jazz and the Latin-American world of Astor Piazzolla and Villa-Lobos, they are unfailingly tuneful, readily capturing a mood whether snappy (the Seventh in particular) or often surprisingly rhapsodic: in this regard the first study sets the tone for the set as a whole. ‘Small masterpieces,’ Pace calls them in his booklet note, ‘small works of art in their own right, pieces that can hold their own in concert halls’; they will find an appeal way beyond the specialised guitar market. Mario Gangi (1923-2010) was one of the most important protagonists of the guitar in 20th century Italy. A performer of world rank he also did extensive scholarly work to promote the publication and performances of contemporary guitar works. 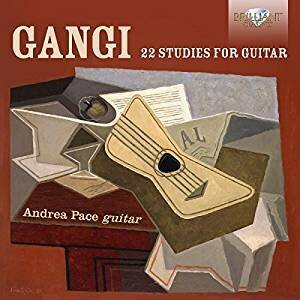 The 22 Studies by Gangi deal with every technical aspect of the guitar technique: scales, arpeggios, repeated notes, polyphony, melodic use of the thumb. But far from being dry exercises they reveal a warm musical personality, which imbued the 20th century influences of Jazz, Latin-America, and the European guitar tradition. 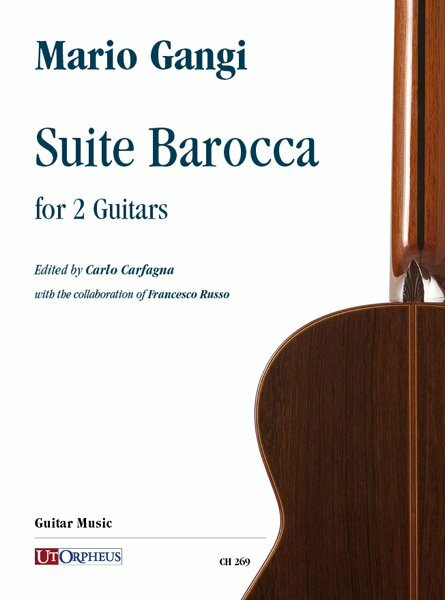 Played with consummate skill and feeling by master guitarist Andrea Pace, who already recorded successfully for Brilliant Classics works by Mario Castelnuovo-Tedesco (BC94833). 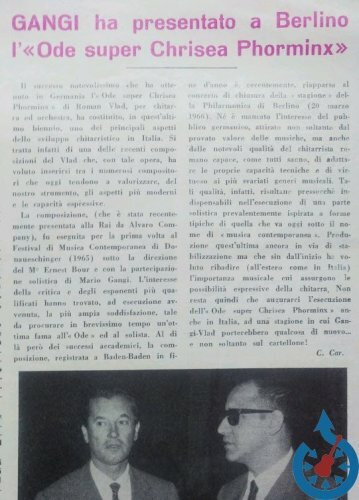 La recensione di Carlo Carfagna del concerto di Mario Gangi nell'ambito dell’edizione del 1965 di Musiktage, festival nel quale, nel corso delle edizioni, compaiono composizioni di autori del calibro di Igor Stravinsky, Luciano Berio, Karlheinz Stockhausen, Arnold Schönberg e molti altri. Gangi presentò la prima esecuzione di Ode super “Chrysea phorminx” scritta tra il 1962 e il 1964 dal compositore rumeno Roman Vlad (1919-2013).